My apologies for the lateness of this report, which was received from Pastor Joseph at the end of January. 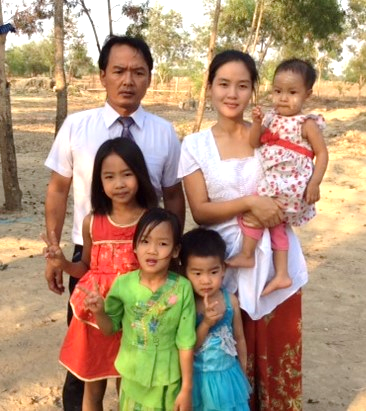 Please rejoice and thank the Lord for the activities of Pastor Joseph and his team both in Yangon and in many parts of their country and pray that the Lord will continue to give them the joy of seeing fruit for their labour as they take the Gospel to unreached areas. Please pray especially for Pastor Joseph, as he has accepted the responsibilities of the position of President of the Advent Christian Conference of Myanmar for 2019. David and his team reach 5 villages in December 2018. And preach about the salvation of Jesus to 150 people from different tribes in Shan state. 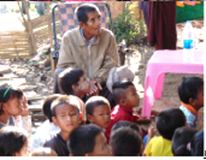 Lone Aung and his reach 3 villages in December 2018. They preach the good news to 123 people from different tribes in Chin Pum land. We win 57 people for the Lord in December 2018. 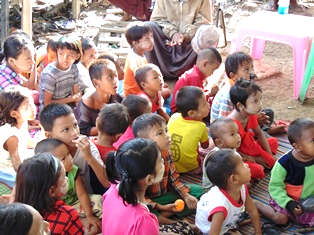 And feed 64 poor of poor in Yangon Division and share the love of God to them. They are Burmese tribes and ready to accept Jesus as their Savior soon. We preach the love of God to Burmese tribes through sing-song and dance. And pass Gospel tract to 200 people. Our children are doing well by God’s grace and help. Some children are working in tea shop as part time to support the mission that we are running orphan ministries. 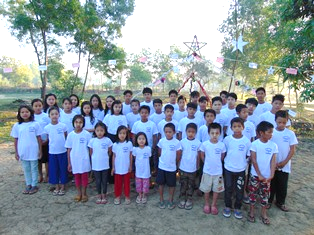 This month of December, we do outreach 5 places in Shan state, 3 places in Chin Pum land and also around Yangon Division. People who have had no news of Christ, who have not heard the gospel, are found in every village and everywhere. Shan state is fully Buddhist land, fully animism and evil spirits. We do home cell 7 times in a month. By doing Home Cells, we get new people. Home cell is one of the effective ways for church planting. Praise the Lord that all orphans are doing well. Pray that God will meet daily food for our orphans. Please pray for the House of Orphan in Yangon to be built soon. 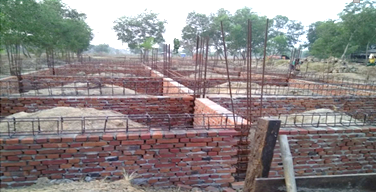 Pray that God will meet the needs for this orphan home.